Maintain a comprehensive and continually updated resource and service inventory with granular utilization analysis. This ensures that all resources are properly sized and not sitting idle. Under sizing will negatively impact your performance and availability. Over sizing or leaving resources idle will hurt your bottom line.Self-provisioning is a major benefit of using AWS. Unfortunately self-provisioning can often lead to over-provisioning and, in the cloud, you rent resources. Do not rent (and pay for) more than you need. 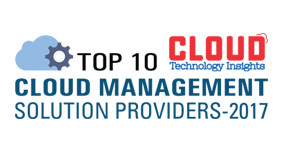 Staying on top of this is a critical component of a healthy cloud strategy. Analyze your inventory over an extended period of time and apply that analysis to purchasing decisions to ensure your best possible ROI.AWS offers a variety of pricing options – and the spread difference between a Spot instance and an On-Demand instance can be over 1000%. Smart users analyze their usage and devise appropriate purchasing strategies. This typically involves a heavy mix of Reserved Instances coupled with small doses of Spot and On-Demand. Analyze your usage, build a strategy, and you can significantly reduce your costs. Veterans have learned to zealously track and allocate costs. Your cloud usage is dynamic. You have many users who can purchase virtually unlimited resources. Those resources, however, are billed. Smart users rely on AWS tagging. Properly tagging resources can give you visibility into environment costs, project costs, and user costs. You can then manage your expenses and measure your productivity. Cost allocation is also an essential element for preventing cost sprawl and there are 3rd party vendors who can provide alerts to your teams so that there are never unpleasant month-end surprise bills. The decentralized nature of the cloud makes this imperative. Configuration errors are surprisingly common and are the most common cause of availability failures. Specific attention should be devoted to auto scaling groups, ELB configurations, and security groups. 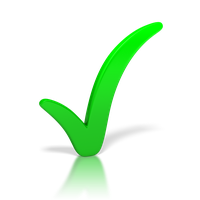 Create a comprehensive best practice checklist and use it! Coverage should include issues ranging from security to cost to availability. AWS Trusted Advisor is a wonderful place to start, more complex deployments will require even deeper tools. The cloud moves fast – that’s one of the main reasons you use it. However, exceptionswithin the dynamic environment can quickly multiply. Security and availability mitigation needs to be a top priority. You should identify and prioritize potential concerns. Some will be common, others will be idiosyncratic. Your particular business imperatives should also factor into the decision. Regardless, you need a solid strategy to help you efficiently manage your responsibility because prompt remediation of identified issues is essential. The cloud offer fundamentally different challenges and opportunities for its users. Although traditional IT is still catching up in its responses to the decentralized environment, you still need to respond..Start with these 5 suggestions – they will get you off to a head start and help ease your transition to the cloud.